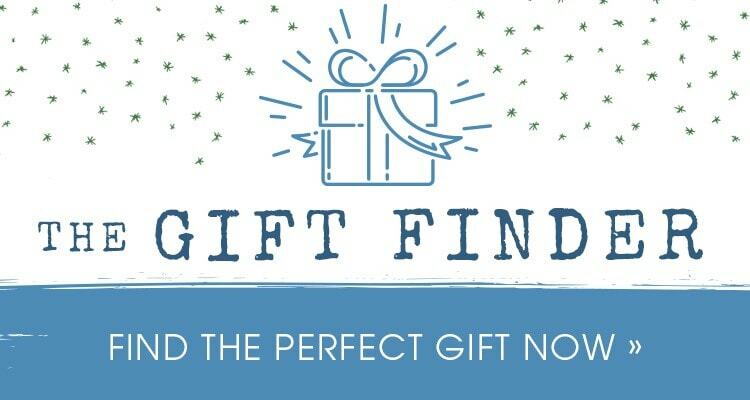 Buy 2 or more for just 11.99 each! "May your troubles be less/and your blessings be more/and nothing but happiness/come through your door." 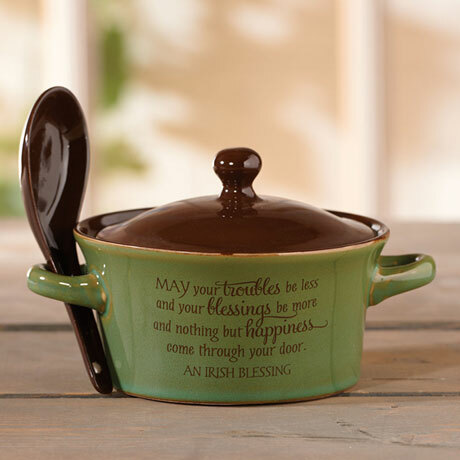 Big-hearted words on a small stoneware dish, glazed green and brown, complete with lid. 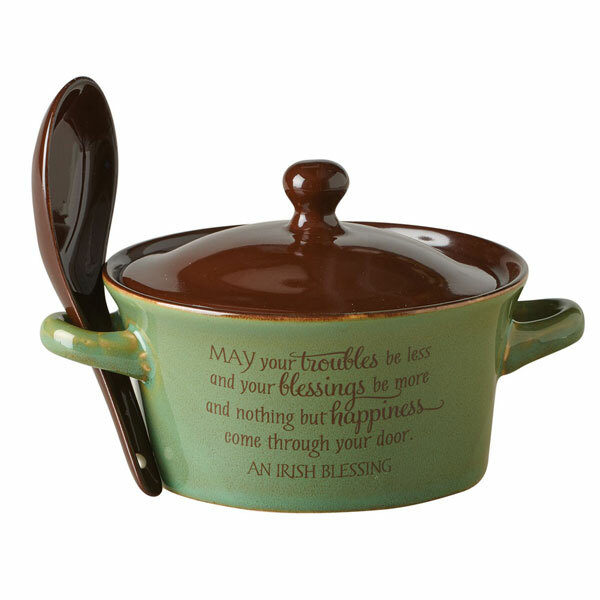 Sized for a single serving of soup, or perhaps a sauce, it looks like a miniature casserole. 5" diameter, 4" high. Dishwasher, oven, and microwave safe. Arrives gift boxed with spoon.